Throughout my travels through all 67 Pennsylvania counties, I’ve come across more shockingly beautiful sites than I can count. Many of them I have written about on this site, and many I still need to write about in the coming months. However, all of these travels made me start to think about which sites were the best of the best. So, without further ado, here’s my list of the Seven Natural Wonders of Pennsylvania. 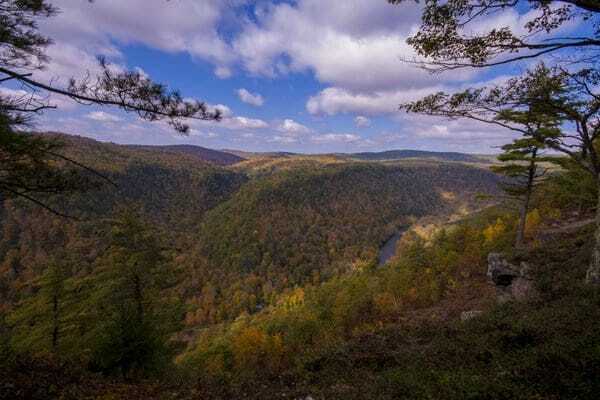 Known officially as the Pine Creek Gorge, the Pennsylvania Grand Canyon is certainly one of the most impressive natural sites in Pennsylvania. True, it may not be as impressive as the actual Grand Canyon, but that doesn’t mean that it’s not well-worth seeing. Located in northern Pennsylvania near Wellsboro, the Pennsylvania Grand Canyon stretches 47 miles and reaches depths of 1,450 feet. The northern stretches of the canyon are popular with visitors and the two state parks there offer opportunities for hiking, as well as scenic overlooks. The shores of Presque Isle in Erie, PA. 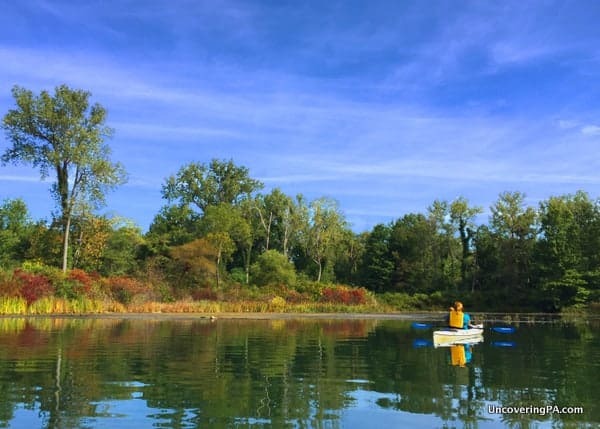 Located along the Pennsylvania shores of Lake Erie, Presque Isle is home to PA’s most visited state park. However, beyond being an amazing summer destination, Presque Isle is also a very unique geological feature. This recurved sand spit is continually shifting and moving slowly to the northeast. Within its 3,000 acres are seven unique ecological zones, giving it more endangered species than any space of comparable size in Pennsylvania. It is also known as one of the best birding destinations in the region. 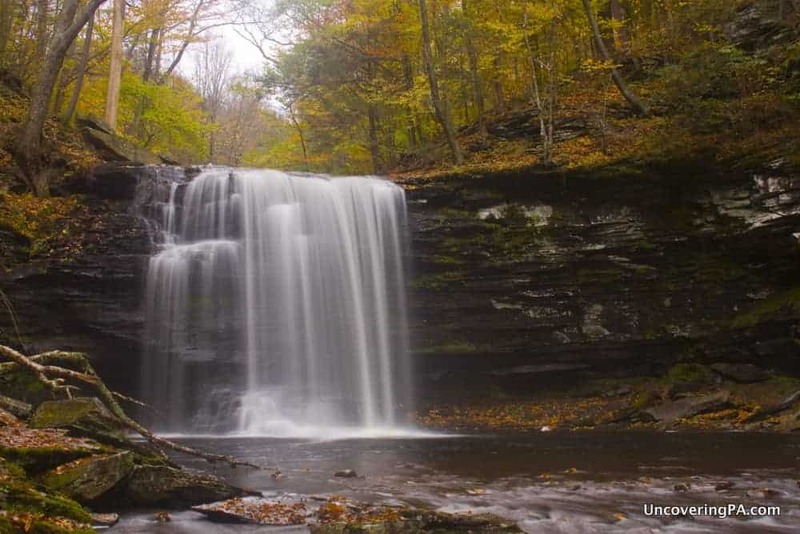 The Glens Natural Area in Ricketts Glen State Park is home to more than 20 beautiful waterfalls. The Glen Natural Area at Ricketts Glen State Park is home to nearly two dozen waterfalls, giving it one of the highest waterfall concentrations in the country. The site would have likely been made a national park if not for lack of funding during World War II, but is now protected as a state park. 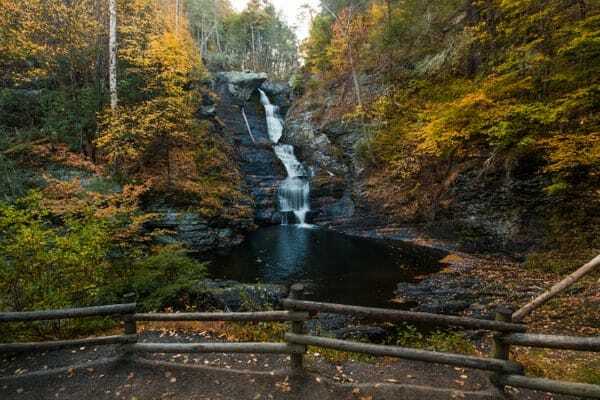 The Falls Trail runs through the three glens that make up the natural area and offer visitors a chance to see these beautiful waterfalls, each ranging from 12-94 feet in height. If you love waterfalls, this is easily the best hike in all of Pennsylvania. Stretching along the border between Pennsylvania and New Jersey, the Delaware Water Gap National Recreation Area is a 70,000-acre area that surrounds the Delaware River. Originally slated for a reservoir, the lands were officially transferred to the National Park Service in 1978. Today, the park is home to Pennsylvania’s tallest waterfalls and some of the state’s best hiking. The Appalachian Trail runs through the southern corner of the area before crossing into New Jersey. Other great trails head to secluded waterfalls or stunning vistas overlooking the valley. Inside the beautiful Laurel Caverns. Pennsylvania is home to many beautiful caverns, but none can rival Laurel Caverns. 16,000 feet in length and reaching depths of 46 stories below the mountain top, Laurel Caverns is also Pennsylvania’s largest cave, with new passages still being regularly discovered and unearthed. Unlike many other caverns in the state, Laurel Caverns has very low-calcium limestone, meaning that it has relatively few formations. Instead, it has rough walls and sandy floors. It also has relatively steep passageways. 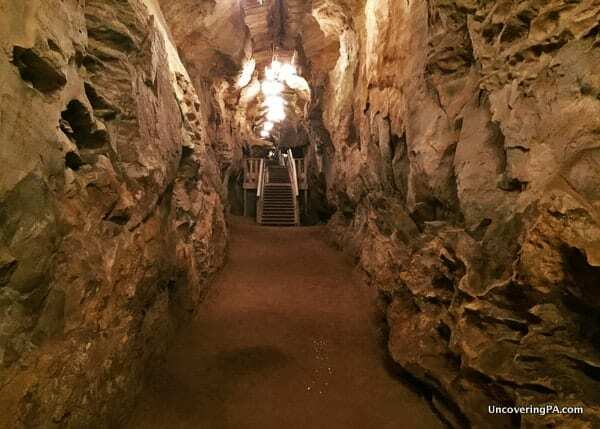 Visitors can take guided tours of the cave, or even go repelling or spelunking deep within the bowels of this southwestern Pennsylvania cavern. 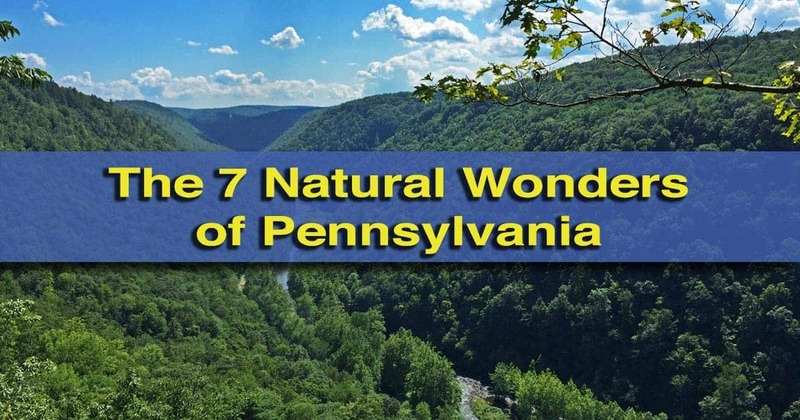 It might sound strange to have a single plant on this list of natural wonders of Pennsylvania. However, the Losh Run Box Huckleberry deserves to be on this list. Located along Route 322 in Perry County, PA, and nearly destroyed by the construction of the highway, the plant is considered to be one of the oldest living organisms in the world, estimated to be over 13,000 years old. Before the roadway was widened, this plant covered over a square mile of ground, rising only about a foot off of the forest floor. Today, it still survives, but in smaller patches. The Losh Run Box Huckleberry is located entirely on private property. 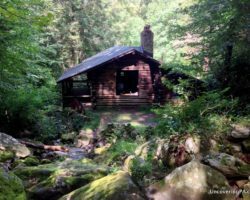 However, it is possible to visit the nearby Hoverter and Sholl Box Huckleberry Natural Area, which is home to a box huckleberry estimated to be over 1,000 years old. The boulder field at Ringing Rocks County Park. Pennsylvania is home to many boulder fields. However, the boulder field at Ringing Rocks County Park is special. While it might not look significant at first glance, those that take the time to hit the rocks with a hammer or other metal object are in for a treat. While scientists debate the exact cause, the rocks at Ringing Rocks County Park give off a melodic sound when hit with a metal object. 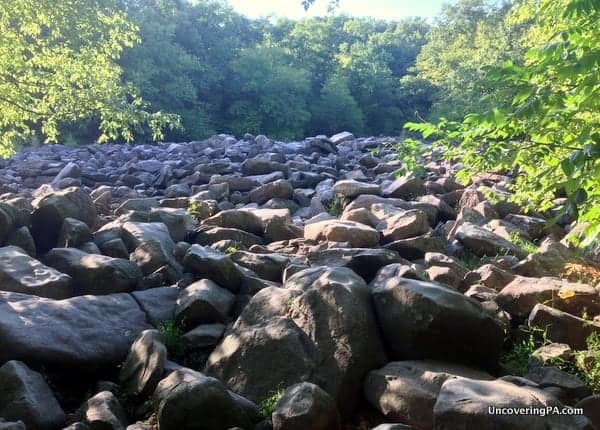 It’s worth noting that there are several other boulder fields in Pennsylvania that exhibit this odd effect, but none are as large or as consistent as the Ringing Rocks. Interesting, this isn’t the only ringing rocks field in Pennsylvania. Nearby Stony Garden is even larger and seems to ring better, but is less accessible. To hear what the rocks sound like, you can check out this video that I put together during my visit to the park. 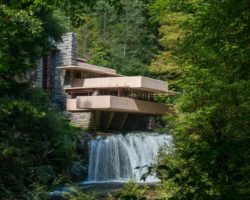 Don’t forget to check out my picks for the 7 Man-Made Wonders of Pennsylvania. Great list, but I would include Hawk Mountain near Kempton, PA. Fantastic views, and soaring hawks overhead. Visit if you haven’t. 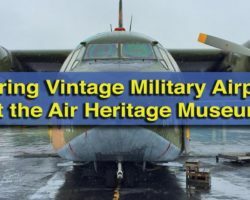 Thanks for your wonderful blog; it is my favorite. 7 waterfalls at Ohiopyle.natural slides there too.plenty of natural wonders in Somerset County!!!! I love Ohiopyle. Would definitely make my list of favorite state parks in Pennsylvania. The rock garden at the top of worlds end state park is amazing ! It is. Been a few years since I’ve been, and I’d love to visit it again. Your list is great. Going beyond the top seven, how about Penn’s Cave (Center) the Ice Mine (Potter), Quehanna Wilds (Clinton) . Definitely good additions. 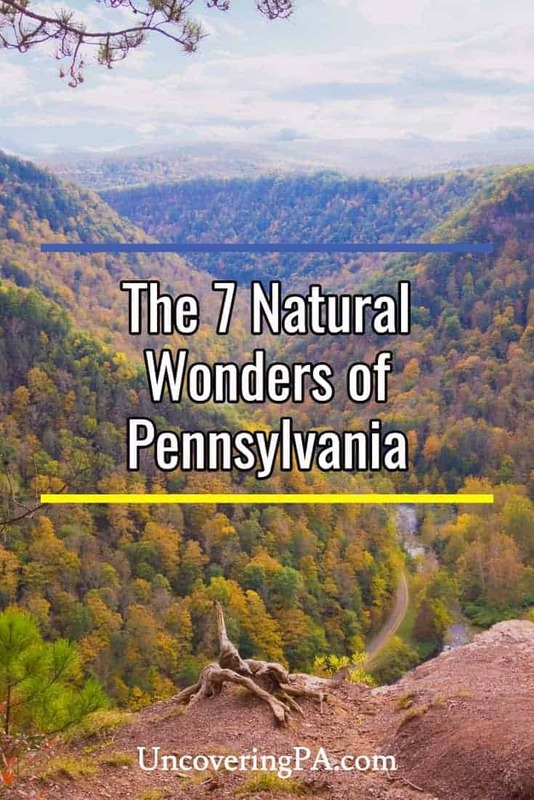 There are certainly many more places that I’d consider natural wonders of Pennsylvania. Thank you for posting these beautiful places to visit. Pennsylvania truly is a beautiful state. We just came back from Cook Forest State Park located near Cooksburg, PA, and I must say, they have the biggest and tallest trees I’ve ever seen. It was amazing to see such ancient trees. Thank you for including Presque Isle. It is such a beautiful place for sunrises, sunsets, and everything in between! Cherry Springs State Park! Darkest night skies on the east coast! You pick very wisely. How about a few more lists….7 best animals of PA. I really enjoy your page you go some places I have seen and so many more I have not seen. Your photography is exceptional. Thank You for your efforts…..you do a fantastic job. Thanks so much for the kind words, Ken. I do have a list of the 7 Man-Made Wonders of PA. Hopefully will have more similar things soon. For those of us who live outside PA, even a simple outline map of PA with a star or something showing the location would be very helpful. I enjoy your site! Awesome attractions! Thanks for compiling the list! Thank you for compiling this list, I can’t wait to check out the sights to the north of me! Looking forward to checking out your site. PA is beautiful! Just found your website, travel maps and articles today! WONDERFUL! 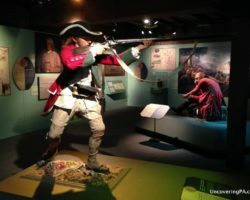 Our 4th grader is studying Pennsylvania history this year, and for summer vacation we are traveling/camping all over PA to show him some of the sites he’s heard of and places we’ve never seen. With all the fantastic info on your website we can help him and us to fall in love with our state all over again! I think we could spend a lifetime exploring all the places you’ve shown us! That’s great to hear! I hope you enjoy your travels around the state.